A bit of light relief this week (said the bishop to the actress). 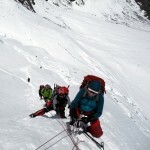 Climbing purists and those who consider themselves to be alpinists should look away now. This post is for those with a more laid back approach to getting up mountains. I’ve just finished writing up my diary from my ascent of Elbrus last year, the highest mountain in Europe in the Russian Caucasus. It was an unusual ascent involving several methods of transport. In the Baksan valley on the south side of the mountain is the ski resort of Azau, from where it’s possible to get a cable car, followed by a chair lift up to the mountain huts of Barrels at 3800m. Not content with that I then took a snow-cat up the tedious snow slopes of Europe’s highest volcano, a tracked vehicle which I can only describe as a curious cross between a tractor and a tank. As we chugged up slopes under cover of the night, every so often our headlamps caught the sight of climbers jumping out the way, who presumably had about as much respect for our climbing methods as you might have for Noddy Holder’s dress sense. We jumped out at around 5100m, and I did actually walk the rest of the way up both of the mountain’s 5642m and 5621m twin summits and traversed across to the north side. I expect a great many people would say I was cheating, but I didn’t really mind. I had climbed most of the way up to where we were dropped off on an acclimatisation hike a couple of days earlier, and I’ve never really been one for worrying about climbing in a particular style. I enjoyed the whole experience, and I can’t imagine I’ll be taking a tractor up many more summits. 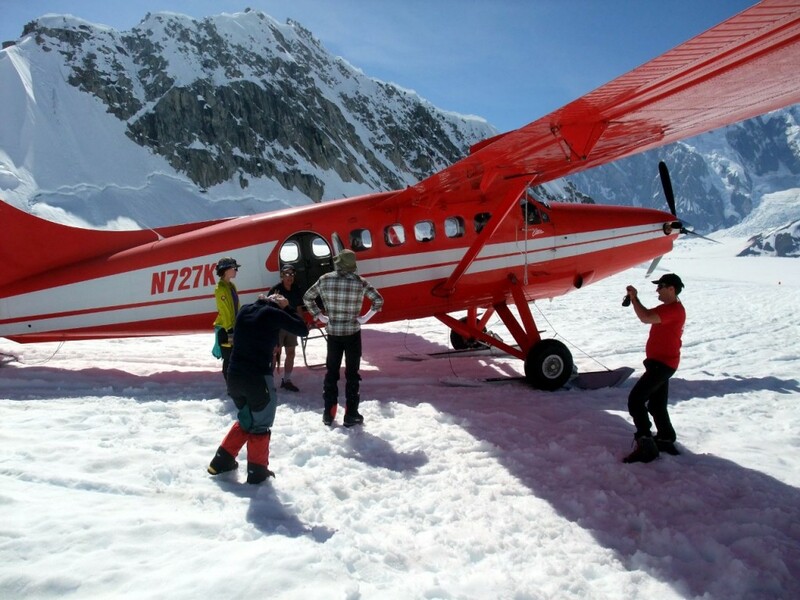 What’s all this then – flying onto a glacier? That’s got to be cheating, surely. The Kahiltna Glacier, Denali. Wilfrid Noyce wrote the quotation I introduced this post with in 1957. 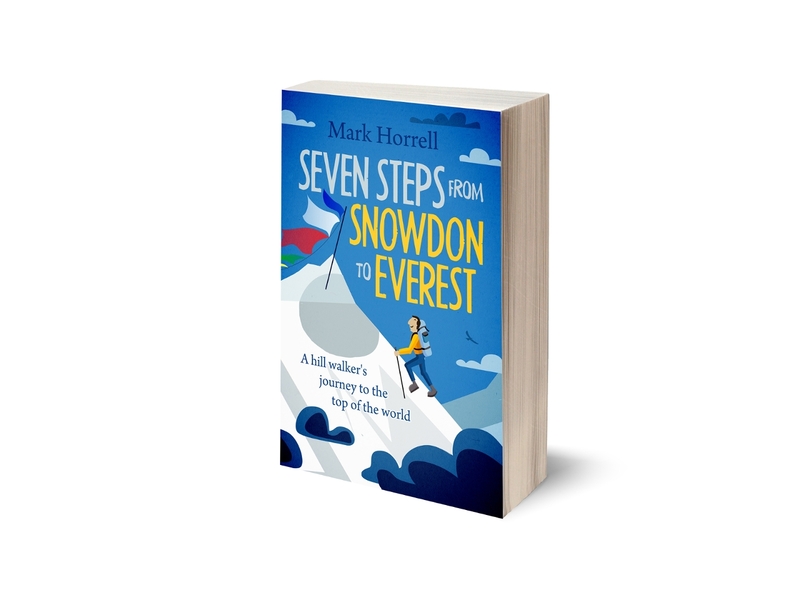 He was a serious climber, who did a lot of pioneering rock climbing routes in Snowdonia and very nearly made the first and only ascent of 6993m Machapuchare in Nepal, coming within 50m of the summit before the terrain became too difficult. 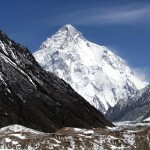 Machapuchare, also known as the Fishtail, is a serious technical challenge on an epic scale which even to this day has never been climbed (though this is mainly because his expedition leader Jimmy Roberts persuaded the Nepalese people to declare it a holy mountain soon afterwards). Although Noyce was writing about Snowdon when he made this statement, a mountain in Wales with a railway line all the way to the summit, he wasn’t really referring to use of vehicles to reach a summit. He had supported Edmund Hillary and Tenzing Norgay when they made the first ascent of Everest in 1953, by carrying equipment, including bottled oxygen to the South Col to ease the burden of the lead climbers. Use of oxygen has been a contentious issue in the world of mountaineering, ever since it was first used in the 1920s, and many people still see it as cheating (though my personal opinion is that these people should chill out a bit). While my ascent of Elbrus last year was an extreme case of cheating, in fact there are many other mountains in the world where people have no qualms about using vehicles quite a large portion of the way. On Denali climbers fly onto the Kahiltna Glacier at 2150m, on Mont Blanc there’s a cable car to 3800m on the Aiguille du Midi, and on Everest no one thinks twice about flying to Lukla at 2800m instead of trekking in from sea level. On Pico de Orizaba in Mexico, you can even take a penal tractor up a dirt track to start your climb from Piedra Grande Hut, though I don’t recommend it unless you want to arrive with a headache, not from the altitude but from bashing your head against the sides and ceiling of the vehicle. Even in the 19th century people were cheating. Douglas Freshfield took horses to the snout of the glacier at roughly 3800m when he made an ascent of Elbrus’s East Peak from the Baksan Valley in 1868. I’ve been thinking about all this as I typed up my diary, and I thought it might be interesting to compare some of the world’s high mountains to see how far you can actually get up them using mechanical transport. And so boys and girls, I give you the Mountains for cheating infographic. You can hover over it, click on a few radio buttons and see which are the best peaks for lazy people. Then if you’re feeling a little more energetic, I suggest you go and climb them! So there we have it. 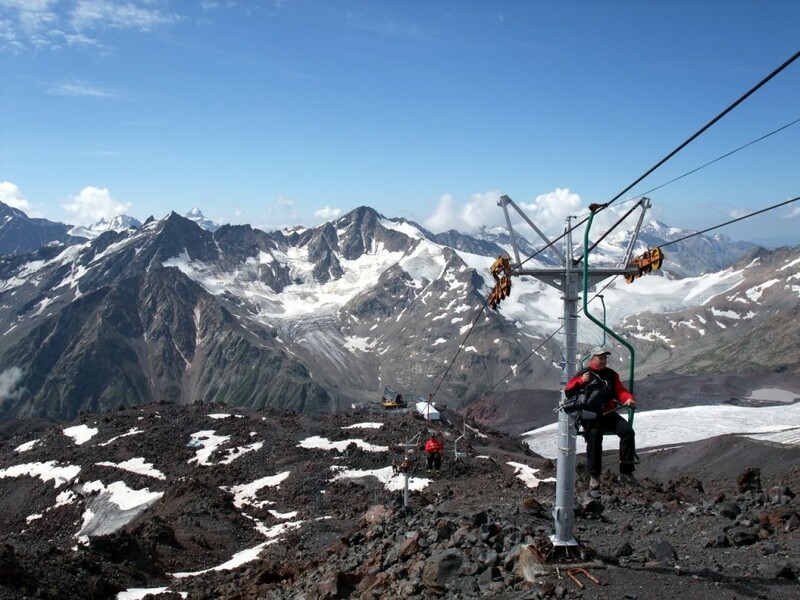 Elbrus is definitely the king of mountains for cheating – or is it? If you can think of any others do pray tell. And if you’re at all interested in my diary Elbrus By Any Means and can spare 77p (or 99c if you prefer), it’s now available as an ebook on Amazon and other online retailers. Nice article Mark. I think the “start” position is most relevant for those seeking records so as to play by the same rules. But otherwise, I agree with you. Nice infographic! What about people who are physically unable to ascend via climbing the old fashioned way but still have the desire to see the worlds top peaks? Don’t you think there should be other options for these people as well? Yes, Matt, good point, and I bet you had a glass of wine in the Gouter Hut on your way up, didn’t you. Heehee, love it, but watch out for that crevasse! Love the infographic Mr Horrell. Hate the fact you took the snow cat up Elbrus though you lazy bugger! Haha, yeah I know. Someone came up to me in the bar awhile back and told me I did not climb everest as I did not start from sea-level and offered to fight me about it. He was much larger than me so I declined. Incidentally back to Elbrus my main memories revolve around forgetting to apply sunscreen to my lips on summit day and getting the worst sunburn I have ever had, blisters all over my lower face and mouth and no painkillers except the 11% Russian beer for the next 3 days. I guess every cloud has a silver lining. Much larger than you? That narrows it down. I know who he was. He was Goran Kropp, wasn’t he! Cotopaxi could almost be included in your list; the car park is at 4600m, a quick stroll up to the hut at 4800m. Then again, I suppose the next 1100m is still a reasonable height gain for summit day. Good spot, yes Cotopaxi’s definitely up there with a 78% cheating score, as are many of Ecuador’s volcanoes, which rise up from the central plateau. My favourite is Rucu Pichincha above the city of Quito. You can have breakfast in your hotel, get the cable car up to 3945m, take a short hike to the 4680m summit and be back down for dinner, a marvellous 84.3% of cheating. 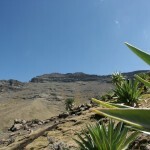 Note: Those South American volcanoes really do take the biscuit – I need to plan a trip there soon! I was in Ecuador with Mountain Madness last year: Rucu Pichincha, Illiniza Norte (and Sur), Antisana and Cotopaxi. The most technical were Illiniza Sur and Antisana, but with all of them you get good automotive/equine-aided uplift to around 4500m or more. The climbing and the views are great, highly recommended. Plus the food is incredible.